The 6th Annual Taste of Wicklow Food Festival will be held at the stunning Abbey Grounds, in Wicklow Town, over the weekend of June 30th & July 1st 2018. This year the food and music festival will run over the two days in conjunction with the start of The Round Ireland Yacht Race in Wicklow Town. The festivities continue with a variety of national and local talents ready to put on an unforgettable show sure to electrify the crowd starting from 5pm – 10pm. The programme features Cafolla & Engel, Seo Linn, Music Generation Wicklow, Look to The Lady, and Xquisite Dance - five acts that are no strangers to putting on powerful performances. 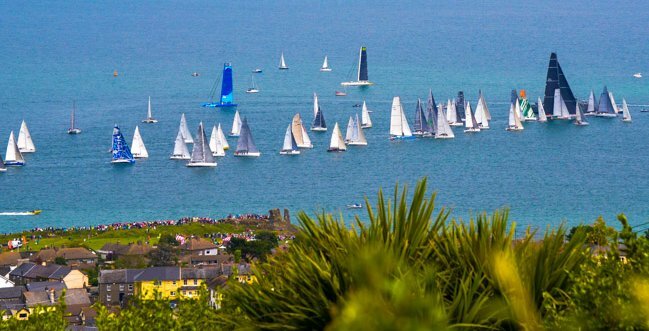 A buzz is brewing in Wicklow Town, as local businesses and the festival committee get ready to showcase Wicklow Food, Fun , Music and more in the sunny southeast! 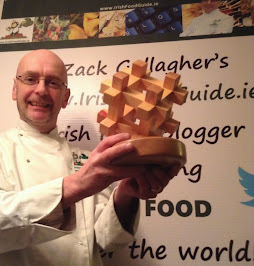 Weekend Tickets include entry to our Taste of Wicklow Raffle. Under 12's go FREE with all ticket options. Day tickets will be €10 at the Gate over the weekend. 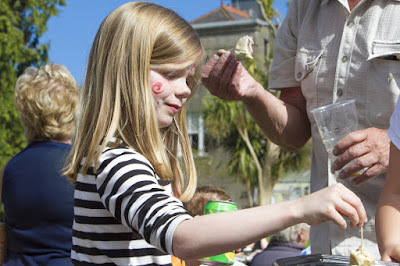 Early Bird Tickets (offering 25% off) are Now Available online at www.tasteofwicklow.ie/tickets , but act fast as the tickets are rapidly running out - once they're gone, they gone! The Restaurants Association of Ireland have just launched their search for the Foodie Destinations 2018, with applications now being accepted. 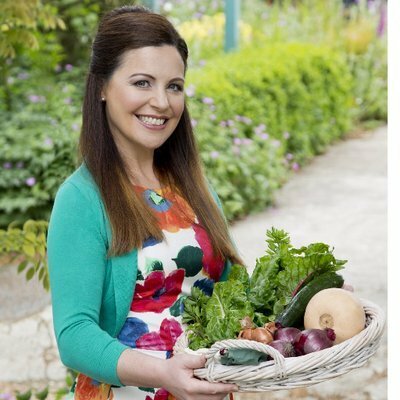 The aim of the award is to celebrate Ireland’s unique and wonderful food offerings and to encourage local food tourism initiatives across the country. Actively promotes itself through joint promotional activities such as food festivals, gourmet trails or farmers’ markets as well as great dining experiences for locals and visitors alike. Will have established a local producer/supplier network which is utilised and promoted by local businesses. 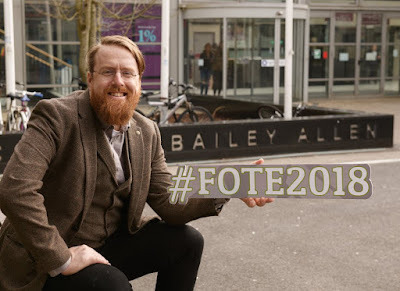 Plans for future growth and investment into the food and hospitality industry at a local level will also be taken into consideration by Foodie Destinations judges. Education, training, development and employment will be key components of the ultimate food Foodie Destination. Collaboration is of utmost importance - we want to see communities working towards a common goal. 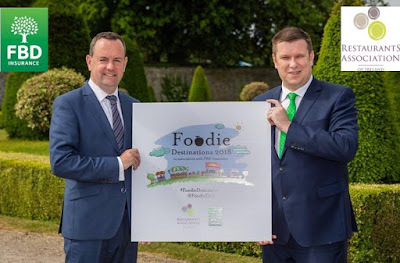 "This year there will also be the addition of a new award category of ‘Foodie Town’ and this category name refers to both towns and villages," said Adrian Cummins, CEO Restaurant Association of Ireland, which pioneered the Foodie Destinations Award initiative in 2014, initially as part of the Irish Restaurant Awards. "Tourism or vacationing should be a primary component of the local culture and economy. 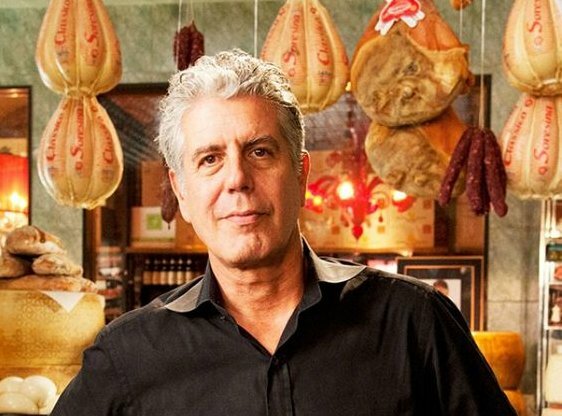 These towns offer a stand-alone, unique food and tourism visitor experience which does not expand out to the surrounding areas," he added. The competition welcomes back FBD Insurance as the official sponsor, for the second year. John Reade, Head of Business Insurance at FBD Insurance said, "FBD Insurance is a proud sponsor of The Foodie Destinations Award and it is our pleasure to be associated with an event supporting the agri food industry and wider business community. 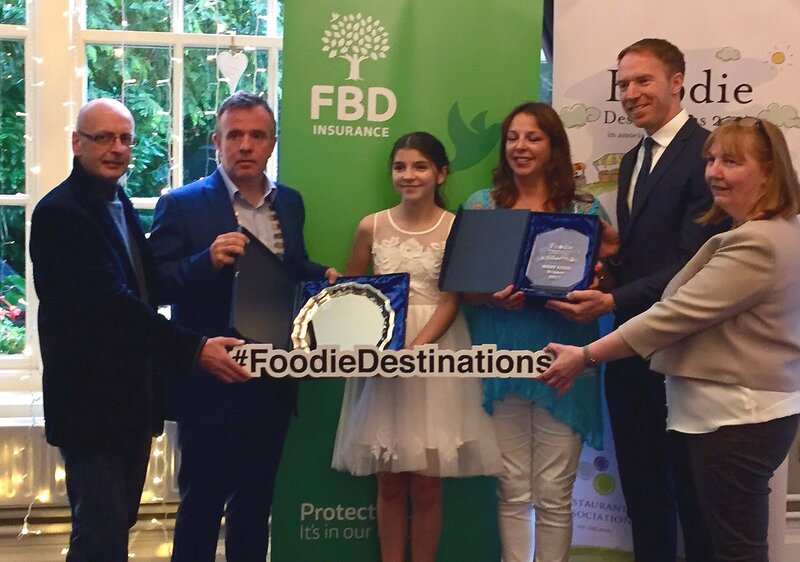 For 50 years FBD Insurance has been proud to support local community initiatives and as Irelands only indigenous Insurer we are delighted to see so many communities developing their own food culture offerings and contributing to the wonderfully diverse food culture in Ireland." 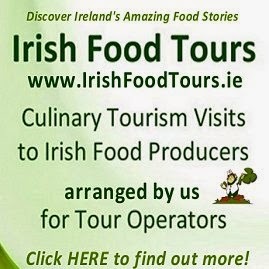 If your town, village, suburb or region thinks you have a unique food tourism offering and would like to apply, go to www.foodiedestinations.ie where you will find the Entry Criteria, a template of the application form and a link to the Official Entry Form. The deadline for applications is 12 noon on Thursday 12th of July and the Winner will be announced on the 28th of August 2018. FoodSpace Ireland Executive Chef Conor Spacey to tackle sustainability issues with Chefs Manifesto. FoodSpace, which is a division of Apleona Ireland, has an offering that brings both food ethics, sustainability and flavour into the same pot and operate 15 locations in Ireland. 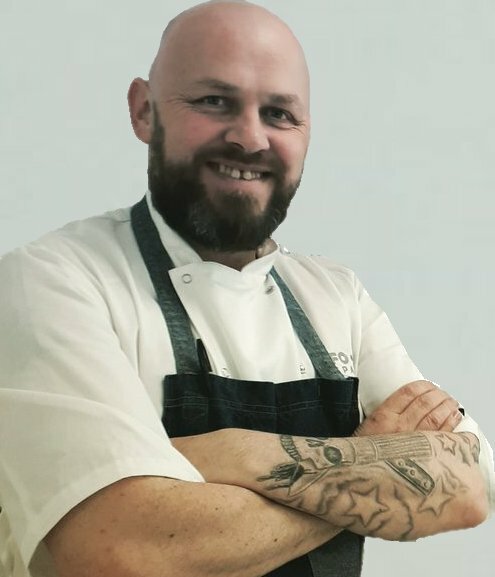 Conor Spacey is the Executive Chef with FoodSpace based in Dublin, and this week he is London-bound for the launch of the first Chefs Manifesto Action Hub, a geographically located and focused space for driving action among the catering industry. 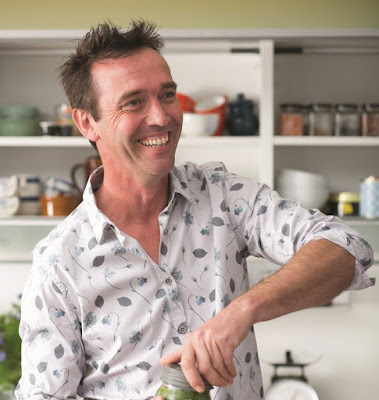 Conor joined FoodSpace in February 2016 and has been fundamental in building their ethos around putting fresh, seasonal and responsibly sourced ingredients at the centre of every plate we serve. 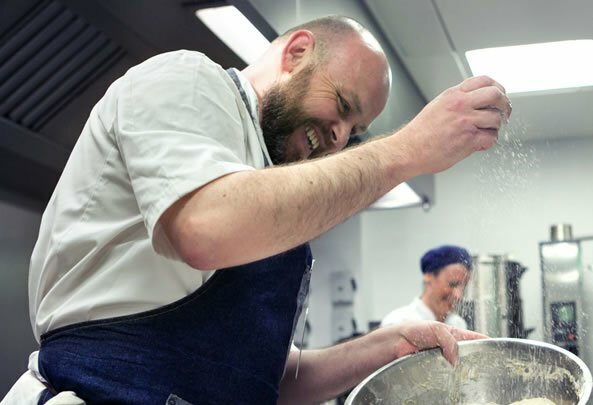 Conor hand picks every single one of their chefs and encourages each of them to marry great ingredients with their own personal inspiration and food experiences to create their menus. "Food tastes better when it’s made fresh. All our chefs understand this. They’re foodies. They get excited at the thought of wowing people with real food made from scratch and creating long-lasting memories for every customer," said Conor. The Action Hub will launch with a week of activities and events from the 18th to 22nd of June at Omved Gardens in Highgate, London. Coinciding with World Sustainable Food Day, these events will push forward ideas on sustainable food development with wide-ranging content. 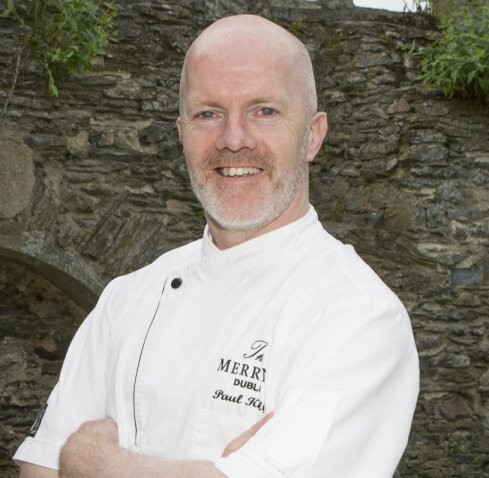 Conor will be cooking over three days with different guest chefs from around the world. 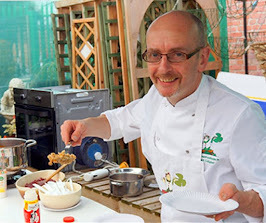 As part of the program, Spacey will be speaking around sustainability, how it is achievable and the FoodSpace journey in Ireland and what has been implemented at each FoodSpace location to make real change. 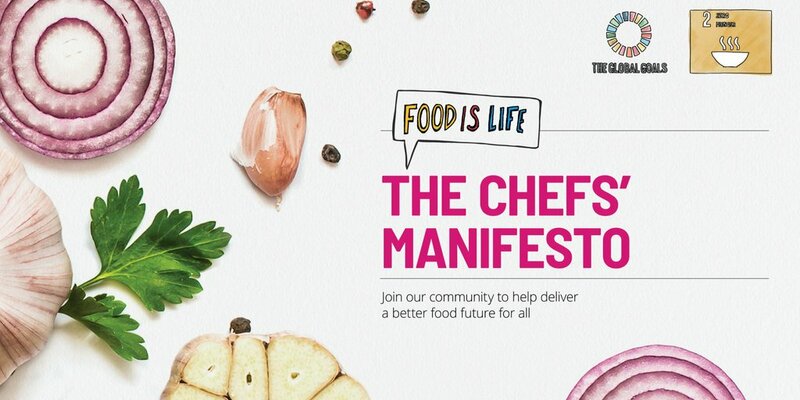 “Being part of Chefs Manifesto is an incredible honour but also so important as it links in with our FoodSpace ethos. 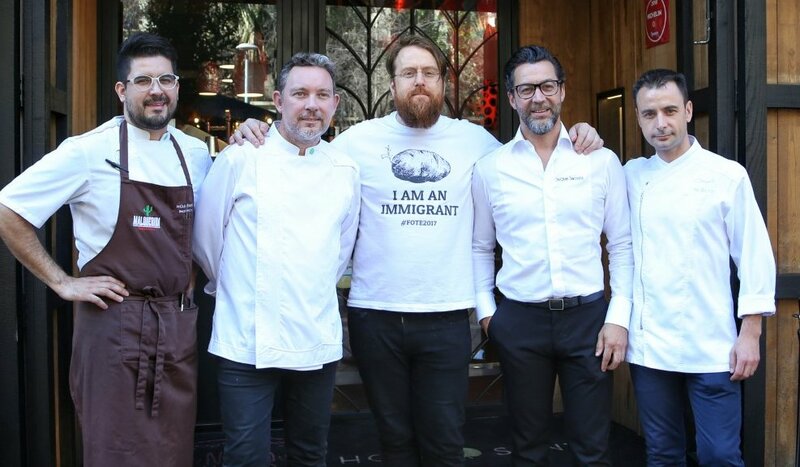 One of the highlights will be on the Wednesday when we are cooking with refugees, 12 in total for National refugee Day and hosting workshops throughout the gardens,” explained Conor. “As chefs we have a responsibility to purchase the best produce because in turn this leads to a higher quality of dish created and enjoyed. It is no longer about just food, we have to look across all sections and realise the impact we have on our environments both socially, physically and ecology. It all starts with local and you build from there,” said Conor. 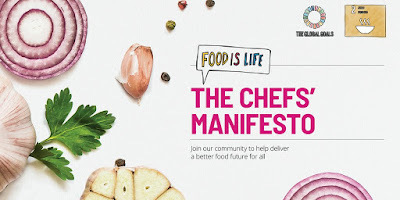 The Chefs Manifesto is made up of 100+ chefs from 36 countries with a main focus of tackling issues such as protection of biodiversity and improved animal welfare, investment in sustainable agriculture and farmer livelihoods, no food loss or waste, celebration of local, seasonal food, A focus on plant-based ingredients and education on food safety, healthy diets and nutritious cooking. 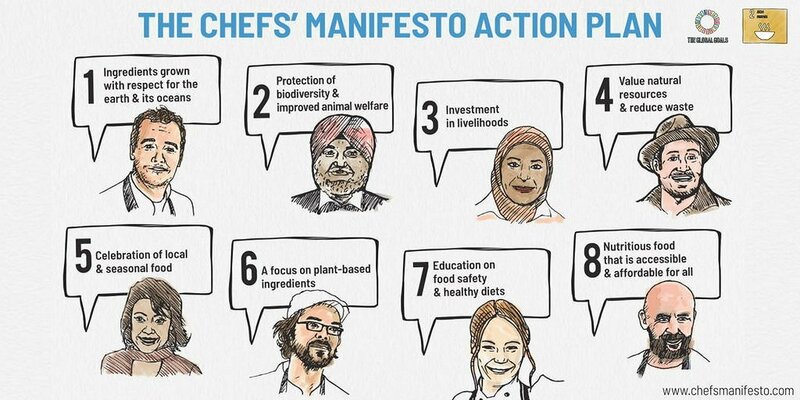 Chefs are already leading a lot of great activity around food issues. 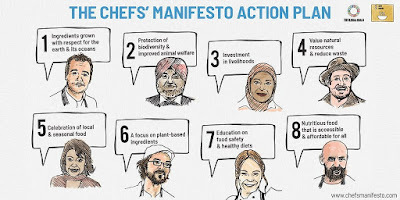 Through the Chefs Manifesto (SDG2 Advocacy Hub) community, they also want to profile some of this work, share learnings and best practice and empower chefs everywhere to be (United Nations SDG Action Campaign) advocates. “We have been delivering Food Services as part of the wider Apleona HSG Facility Management Service family since 1974. During this time, we have worked closely with our clients, forming strong relationships that have developed and grown over time. Our success is based on our ability to develop a clear understanding of the needs and what’s important in the daily operation of a client organisation. Sustainability is a key pillar for most businesses today," said Conor. “Cooking for large numbers of people across all of our locations daily through sustainable and ethical practices is the driving force behind why this company is growing. The culture is one where our chefs have the freedom to create food that is alive with great flavour and nutrition, prepared from scratch using authentic ingredients. All of the FoodSpace team has a genuine passion for local and seasonal produce and ingredients,” he added. FoodSpace have worked hard to put brilliant food and sustainably sourced ingredients at the heart of this vibrant business. FoodSpace are ambitious to grow the business where they can work with like-minded clients and customers. Currently FoodSpace employs 140 in dedicated catering roles. Check out the FoodSpace Website Here. Stoneybatter Pride of Place has unveiled a range of food and drink activities which will take place as part of the Stoneybatter Festival from Friday June 22nd until Sunday June 24th 2018. The Festival, which is in its second year, is a celebration of the residents, communities and businesses of Stoneybatter, Manor Street and the surrounding areas. Organisers have developed a rich and varied programme of events, guaranteed to entertain and engage visitors. As well as a strong focus on entertainment, culture and heritage, food plays a central role in this year’s Festival. Over 40 food and drink businesses have gathered together to take part in the ‘Stoneybatter Food and Drink Trail’ to increase awareness of the fantastic produce available in the local area. Loyalty cards will be available in participating venues and visitors will be invited to enter into a draw for a hamper made up of products from participating food businesses. Mrs Doyle (AKA Pauline McLynn) will return to judge the ‘Mrs Doyle’s Tea Party – The Great Batter Bake Off’. "Scorchio’"a bespoke craft beer, developed especially for this year’s festival will be launched in the Drink Store on Manor Street. 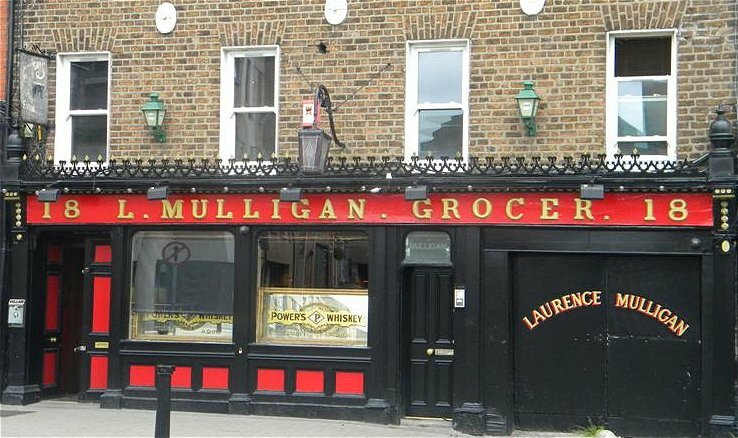 The launch will be followed by paired beer bites and dancing in the beer garden of L Mulligan Grocer until late. Walsh’s, recently named ‘Best Pub in Ireland’, will host ‘Breakfast Bantz’, a panel discussion on food, beer and wine focusing on sustainability with breakfast nibbles & beer and wine-tasting. 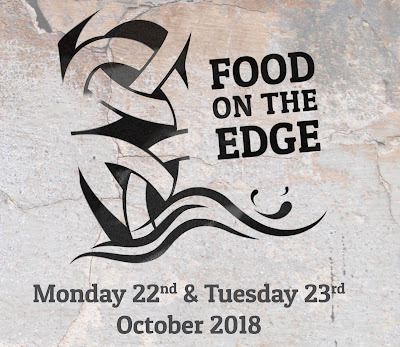 Speakers include Michelle Darmody, Cake Café, Leslie Williams, Food and Wine Writer, Vera O'Grady, Wines Direct and Dr. Tom Oldfield, food sustainability expert. Mr Middleton, a Stoneybatter local and award-winning gardener will talk about his triumphs and failures growing plants in Stoneybatter. 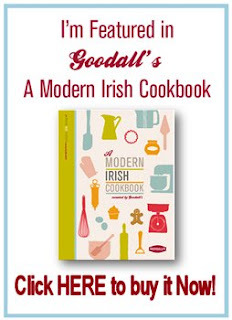 From the Saffron Spice to Irish Tea Plants and everything in between. Love Supreme will once again host their ‘DJ set on the roof’ with Swedish DJ coffee roasting superstars Charles and Anne (Koppi Fine Coffee Roasters). Cotto, Chili Shack & Kavanaghs join together to bring you ‘Taste of Stoneybatter’ at the Aughrim St / Prussia St triangle. Bí URBAN will join forces with the Green Door Bakery for tea, ‘Toast & Honey’. A Special screening of renowned filmmaker and photographer, Gregory Dunn’s award winning short film, ‘Toasted’ about an annual electric toasters festival. L. Mulligan Grocer are also hosting a three course Sunday roast on the closed street. Kicking off with a a laced punch, a sharing board of local produce, house made bread, loads of bacon jam, a locally sourced Sunday roast with lovely gravy, finishing with an Eton mess. 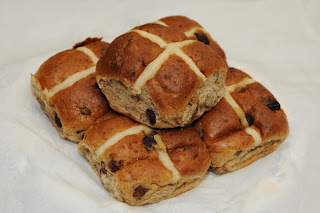 “There’s an old Irish saying that laughter is brightest where food is best. I like to think the Stoneybatter Festival is a great example of this. I look forward to great food and lots of laughter on our Festival weekend. Stoneybatter residents are lucky to have a fantastic choice of places to eat and drink available to them and indeed, many of these businesses have been recognised nationally and internationally. On winning ‘Best Urban Heritage Village in Ireland 2016’, Stoneybatter Pride of Place celebrated by organising the first annual Summer Festival in Stoneybatter in 2017. The entire community came on board with all the businesses participating and residents taking part in an extensive range of events and activities. While the festival promotes the rich history, heritage and strong community of Stoneybatter, the residents and local businesses are keenly aware that Stoneybatter is one of the many urban villages in Dublin and wish to extend a warm welcome to all Dubliners to come and join us in our mid-summer celebrations.